CDW•G and eSchool News partner for the second Collaboration Nation contest. Is your technology dream for the classroom just out of reach? This year’s Collaboration Nation contest could help your district kick-start those ambitions. The challenge was designed to highlight shining examples of collaboration and innovative educational technology projects from around the country. Last year's grand prize winner, Napa County Schools, won $50,000 in products and services for technology-powered learning from CDW•G partners HP, Lenovo and Cisco Meraki. Discover more about last year’s Collaboration Nation winners. This year's Collaboration Nation contest kicked off Monday at TCEA 2016 and once again is offering a $50,000 grand prize, along with three monthly prizes of $15,000 each to spend on CDW•G solutions. To enter the contest, schools and districts must create a 90-second video, to be shared online, that shows how they would collaborate across departments. All video entries will then be voted on via the Collaboration Nation Facebook page, and three monthly winners will earn $15,000 in products from Cisco, Cisco Meraki and Lenovo. Entries for the contest will be accepted now through April 30. 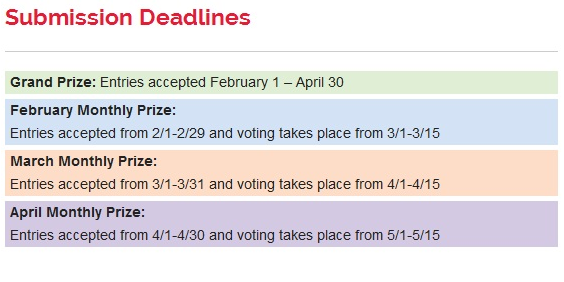 Voting begins March 1. Schools and districts interested in participating should check out the Collaboration Nation contest page on eSchoolnews.